I've questioned the validity of the Bishop's lineage and exposed his propensity for plagiarism on multiple occasions (which is much more extensive than I realised). Let's examine one of his latest posts concerning very, let's say, sensitive theological topics. A reader of Bishop Manchester's blog named Michael Douglass, asked: 'Do Jews and Protestants go to hell? Can either become vampires?'. His Excellency carefully considered an appropriate response to Mike's sensitive question and painstakingly researched the topic before submitting his answer in a blog entry titled 'Salvation' (8 April 2011). The statement "born again" means that God has to see you in a body other than the body of Adam. When we place our faith in the Precious Blood of the Lord Jesus Christ (Romans 6) we are baptised into the Body of Christ. This means that in the eyes of God we are in a Body that has never sinned against God in any way. That is how man is redeemed. Whether you are a Jew or Gentile or any nationality, without the Body of Christ, no man or woman will enter Heaven. So anyone who says Jesus Christ is not risen in a physical body is still yet in his sins (1 Corinthians 15: 17). The statement "born again" means that God has to see you in a body other than the body of Adam, and when you place your faith in the blood of Jesus Christ, Romans Chapter 6 says we are baptized into the body of Christ. This means that in the eyes of God you are in a body that has never sinned against God in any way and that body died and was buried and raised from the dead and brought into the throne room of God with you in Him. So that is how man is "redeemed." It makes no difference whether you are a Jew or Gentile or any nationality -- without the body of Christ, no man or woman will enter heaven. So anyone who says Christ is not risen in a physical body is still yet in his sins. (First Corinthians 15:17). The Jews of today are not the Jews of the Bible. A group of them deviated from their beliefs and rejected their own saviour from their prophesies. Christians are now the new "jews" who did follow the teachings and accepted the saviour when He appeared. Therefore, the Jews of today forfeit their birthright just as their ancestors did during Jesus' time. The Jews of today are not the Jews of the bible. A group of them deviated from their beliefs and rejected their own savior from their prophesies. The Christians are, of course, the jews who DID follow the teachings and accepted the savior. Therefore, the jews of today forfeit their birthright just as their ancestors did during Jesus' time. Redemptive grace is focused most clearly in the life, death, and resurrection of Jesus, whom Christians recognise as the Living Christ. We might refer to Jesus as Grace Himself, as Grace in the Flesh, as Grace walking around. The grace of Christ can inspire us in such a transformative way as to change our awareness of ourselves, of our potential as human beings and as mankind, and our awareness of God's gracious purpose for us and through us for all Creation. It is this changed awareness which recognises a still more specialised form of grace — the grace made available to all who choose to serve God's hope for all in Christ. This is the grace which makes us disciples and is available as spiritual power for goodness' sake. Jesus exhibited this kind of power and challenged us to do the same. To be fair on the Bish, his commentary on the spiritual after-effects of vampiric contamination appear to be his own. However, in saying that 'the person is afflicted in life and is not one of God's true dead, is something anyone outside of a state of grace is susceptible to', really makes me wonder about the kind of shenanigans Lusia must've gotten up to while she was still alive. On a serious note, my sincere condolences for the passing of Gitte. The FoBSM's 'hit list' blog has an entry about me which I've neglected to cover, until now. Time to dissect their hatchet job. Their blog entry has been revised numerous times (with no notes made about the edits) and one of the reasons I feel 'safe' in covering it now, is that until recently, it featured the photograph of someone they presumed was me along with - what looked like - a home address. It was the exact same photo and address that had been forwarded to me by a stalker on the Arcadia forum. Therefore, I decided not to draw attention to their blog entry, lest this innocent party be exposed to further attention and distribution of his picture. However, it was some relief to find that the 'home address' they'd posted was actually that of a petrol station. Despite repeatedly telling and proving that neither the photo nor the address were mine byway of the Supernatural World forum, the 'details' of this innocent bystander remained in their blog entry for some time, before they caved into common sense. How they connected the photo with the address still remains a mystery. Indeed, why they'd even try to seek out an 'unmasked' picture of me as well as publicly posting 'my' address has never been explained. But that's just the tip of the iceberg. The FoBSM's blog entry labels me as a 'stalker', which I can't help but find amusing, when the same entry describes me as 'Anthony Hogg, who lives in a suburb of Melbourne, Australia', includes a stolen pic of me, publishes my private correspondence with a forum member named 'Vampire Researcher' and, of course, previously featured an 'unmasked' picture of me along with a 'home' address. I'm also described as an obsessive, once again, an amusing charge, when one of Vampire Researcher's correspondents says 'I spent (or rather wasted) a good couple of hours going through Anthony’s blog', without a trace of irony. Really, I should be flattered. The third main charge labels me as an 'harasser', but no specifics are given into how my 'harassment' manifests except to say that I harass David Farrant and Sean Manchester 'almost every day of [my] life'. And my 'demonic' mask? It's actually a vampire mask. I thought the fangs, corpse-like 'skin tone' and widow's peak would've given that away. They also mention my publication of a 'UK address in full', something I won't deny. But what they don't mention is that the address I published was a business address. Gothic Press's, in fact. The same address that Gothic Press freely published online. You can view it in this blog entry's footnote, as well as the link I obtained it from. The hypocrisy in their criticism is revealed in their Don Peek entry, in which they display no issue with posting his business address. Clearly, what's good for the goose isn't good for the gander. But who is Don Peek and what is his relevance to their blog's coverage? FoBSM cites him as 'Don Ecker's internet service provider who stepped in to help when Mr Ecker's previous server deleted a cache of stolen images owned by Bishop Seán Manchester'. I should also point out that they've posted Peek's picture along with the entry. It's admittedly strange to see them take such umbrage at the publication of 'a cache of stolen images', when the person they're 'defending' is actually a blatant plagiarist, who also includes 'stolen images' in his web output, just as they do. Lastly, I'll discuss their claims of my (alleged) censorship, or, as they put it 'Mr Hogg who adopts the tactic of censorship with anyone favourable to Bishop Manchester'. Yet another bizarre accusation, considering the posts I've allowed from 'Gothic' aka 'Demonologist' aka 'The Overseer' aka 'Vampirologist'. Read through the comments in this entry, for instance. Oh, and this entry features a comment from Manchester, himself. 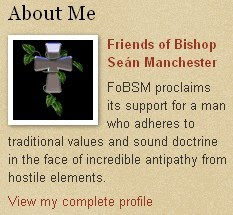 You offer "[Bishop] Manchester's 'profession'" as "Britain's only full-time vampire hunter" when you know very well that Seán Manchester has never described himself as such. That description belongs to somebody else. You purposely fail to attribute it to its source because that would affect the false picture you wish to present of the man whose profession is that of bishop with a specialist ministry in demonolatry and exorcism. But you already know that, Anthony, don't you? It just suits your agenda to misrepresent what his full-time profession really is. Your petty obsession with this man and the case he investigated four decades ago is a clear indication of your state of mind. Bishop Seán Manchester has given his final interview on the vampire case that made him a household name. Why can't you now give it a rest? Year after year you irritate the hell out of people on the internet with your compulsive behaviour and obvious fixation with Seán Manchester whom you misrepresent and abuse from one week to the next. What is the matter with you? There must be something seriously wrong when you focus on a stranger twice your age living on the other side of the world who you don't know or especially like. You either need to get a life or at least get some professional psychiatric help. I'm serious, Anthony. You are out on a limb. Nobody supports your behaviour. At best, it is tolerated. At worst, it is considered pathological. This is not the beginning of a dialogue between us, Anthony. Knowing how obsessive you are where these matters are concerned, it is the end of one. Vampirologist's criticism of my reference to Manchester as "Britain's only full-time vampire hunter" appears to be referring to a recent entry on my amateur vampirologist blog. It's true that (as far as I know), Manchester doesn't refer to himself in this way. However, I didn't say he did, either. Indeed, I placed the description in quotation marks, as you'll see. The description was taken from Joe McNally's review of Manchester's The Vampire Hunter's Handbook (1997). This 'endorsement' is actually incorporated into Manchester's website. 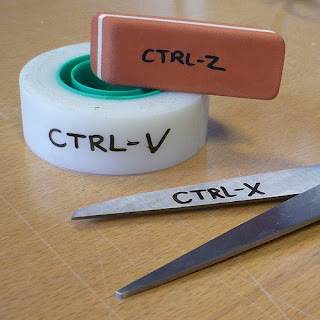 Note, there are no retractions to go with it. Therefore, it's perfectly reasonable to assume that it's a title Manchester's happy with. Once again, the 'obsessed' card is played against me, but with no sense of context. This blog is about the Highgate Vampire Case, as I clearly outlined in my first entry. How exactly am I supposed to talk about the case without discussing Manchester to a large degree, considering he was central to the story's 'plot'? Or David, for that matter. That'd be like advocating a blog dedicated to Dracula, which omits mentions of Van Helsing or the Count. Once again, how my 'obsession' manifests, isn't made clear by my accuser. Furthermore, Manchester is a public figure and he's a public figure because of the Highgate case, which even Vampirologist mentions made him a 'household name'. Vampirologist then goes on to claim that I 'misrepresent and abuse [Manchester] from one week to the next' but doesn't say how, when or where. No specific instances are given. No specific posts are mentioned or linked to. Just like FoBSM (of which he's a member), he resorts to hyperbole and ad hominem attacks against me at the expense of proving his case. The childishness, maliciousness and pettiness displayed by both the FoBSM and Vampirologist makes the purpose of the group redundant if that's how they show their 'support for a man who adheres to traditional values and sound doctrine in the face of incredible antipathy from hostile elements'. Or, in other words: pot, kettle, black. In fact, their blatant hypocrisy could be symptomatic of narcissistic personality disorder, not aided by the fact that the Bishop is very clearly aware of their activities.